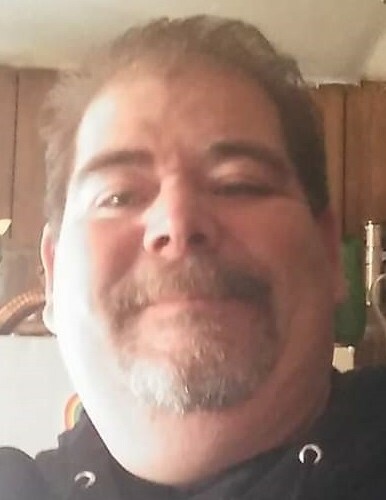 James W. “Bubba” Abbott, age 47, of Bellefontaine, Ohio passed away at 11:30 A.M. Saturday, January 19, 2019, at Riverside Methodist Hospital in Columbus, Ohio. He was born in New London, Connecticut January 14, 1972, a son of Laurence L. and Helen (Andrews) Abbott both surviving of Bellefontaine. On August 4, 2017, he married Jeaninne Snyder and she survives. He is also survived by three children, Brandon Snyder of Sandusky, Ohio, Nathaniel Curley of Rudolph, Ohio and Kiara Pixley of Bellefontaine; three sisters, Jackie Skidmore and Connie (Keith) Close, both of Bellefontaine, and Beverly Jo (Mike) Smith of Swanton, Ohio; a brother, Larry (Jennifer) Abbott of Olmsted Twp. Ohio and many nieces, nephews and great nieces and nephews. Bubba drove semi-truck for a living and thoroughly enjoyed his job. He was a devoted father and loved spending time with his family, especially his children, nieces and nephews. He attended the First Friends Church in Bellefontaine and enjoyed model trucks and cars in his downtime. Pastor Matthew Sandlin will officiate a memorial service at 11:00 A.M. Saturday, March 23, 2019 at the First Friends Church in Bellefontaine. The arrangements are in the care of the staff of the Eichholtz Daring & Sanford Funeral Home and Cremation Center in Bellefontaine.